Andhra Fish Pulusu (Curry) is an authentic and tasty fish delicacy that goes very well with rice. Fleshy fish like Porgees or Tilapia taste best for the dish. Andhra Fish Pulusu is unique and special and you will discover that the recipe is very different from usual Kerala fish curries. The spicy tangy tamarind flavored Andhra Fish Pulusu is a lovely fish curry, very tempting and finger licking. Fish is nutritious, rich in vital ingredients required for body. You can explore a well detailed Andhra Fish Pulusu With Video here. 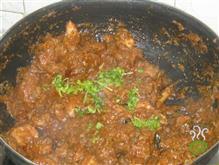 Chicken Majestic is a Hyderabadi dish, a dry chicken dish powered with the aroma of Indian Spices. It tastes amazing and the chicken pieces are soft and succulent on the inside. 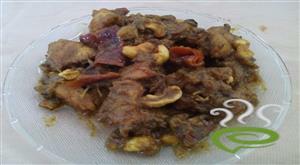 Chicken Majestic is also served as a starter dish during parties and special occasions. Chicken Majestic is unique and interesting with fried chicken pieces blended in a spicy aromatic masala mixture. 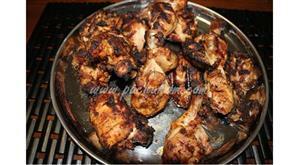 Chicken is protein rich and nutritious, rich in vital nutrients required for body. 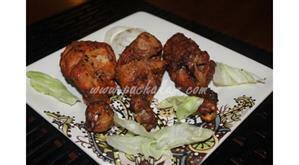 You can explore a well detailed Chicken Majestic here that can be easily prepared at home. Mutton Liver fry" or "Eeral varuval" is very popular dish in south india. And cooking mutton liver is little tricky. It should be soft and juicy. Liver especially the Goat’s liver is considered to be a good source of Vitamin A and a good remedy for night blindness but for those with cholesterol should reduce liver consumption as its high in cholesterol. 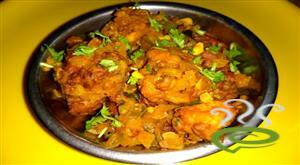 Chicken fry recipe, a easy dry chicken recipe in andhra restaurant style. This Hyderabadi Chicken Masala is a hot and spicy chicken masala that lives upto the promise of everything that Hyderabadi cuisine offers. 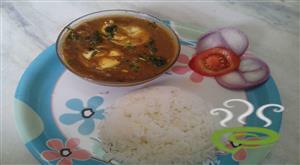 Egg Vantalu is a famous, easy and a simple side dish with egg in Andhra Pradesh. 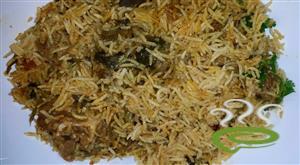 This is the best accompaniment with the hot boiled rice. This is spicy and tasty. The boiled eggs are cooked in a spice mixed gravy. 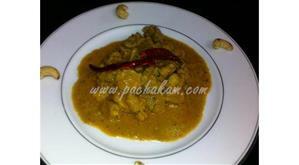 Chicken Vepudu, Also called as kodi vepudu is a hot and spicy guntur style chicken made with fresh ground masala. It makes a detectable combination with hot boiled rice.